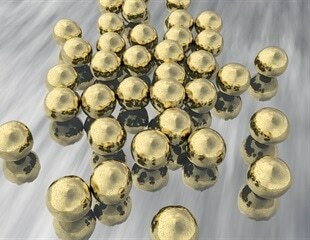 Gold nanoparticles are made up of metallic gold atoms to create a crystal structure of 1-100 nm. Researchers have developed a potentially game-changing new technology that could revolutionize cancer point-of-care (POC) diagnostics. Symptoms of Parkinson's disease include tremor, loss of smell and neuropsychiatric problems. However, many people aren't diagnosed until their disease is well-advanced, which could limit their treatment options. A new study finds reason for caution - a clear emergence of toxicity -- in nanomaterial product formulations, but it also provides an early testing technique that could help the industry continue to move forward. Researchers have used CRISPR-Cas9 gene editing to treat symptoms of autism in mice. It is hoped that the tool could one day be used to help humans. Bloodhounds are famous for their ability to track scents over great distances. Now researchers have developed a modern-day bloodhound - a robot that can rapidly detect odors from sources on the ground, such as footprints. How can we detect cancer and viruses with high sensitivity? Physical chemist Laura Fabris-;an associate professor in the Materials Science and Engineering Department at Rutgers, the State University of New Jersey, and principal investigator of the Fabris NanoBio Group-;is addressing this very question. SYGNIS AG today announced the launch of its Universal Lateral Flow Assay kit, the latest addition to its expanding range of lateral flow assay products and services which are being commercialized under the Expedeon brand name. Analytica is a great event for us to spread the word about our products and technology and it gives us the opportunity to connect live with customers and partners from around the world. NUST MISIS scientists have developed a new type of membrane test strip for the quantitative immunochromatographic rapid-test that will be able to accurately and quickly make an early diagnosis of an acute myocardial infarction through the presence of disease markers in blood, as well as to identify various things such as sepsis, a pregnancy's duration, and viral & bacterial infections. Gene editing is one of the hottest topics in cancer research. A Chinese research team has now developed a gold-nanoparticle-based multifunctional vehicle to transport the "gene scissors" to the tumor cell genome. HIV, dengue, papillomavirus, herpes and Ebola - these are just some of the many viruses that kill millions of people every year, mostly children in developing countries. While drugs can be used against some viruses, there is currently no broad-spectrum treatment that is effective against several at the same time, in the same way that broad-spectrum antibiotics fight a range of bacteria.